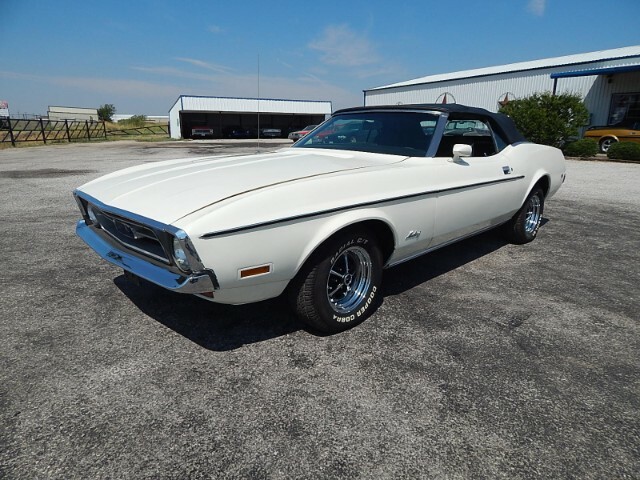 Lone Star Muscle Cars Is Proud To Present this very nice 1972 Ford Mustang Convertible. Powered By a numbers matching 351 2-V Motor with automatic transmission. Only 6121 Convertibles were built in 72 in it's Whimbledon White Exterior with Two Tone Dark Green and Black Interior are very unique to this Stang. Factory A/C, Power Front Disc Brakes, Power Top, make this car enjoyable to drive in any occasion. Call For More Info.